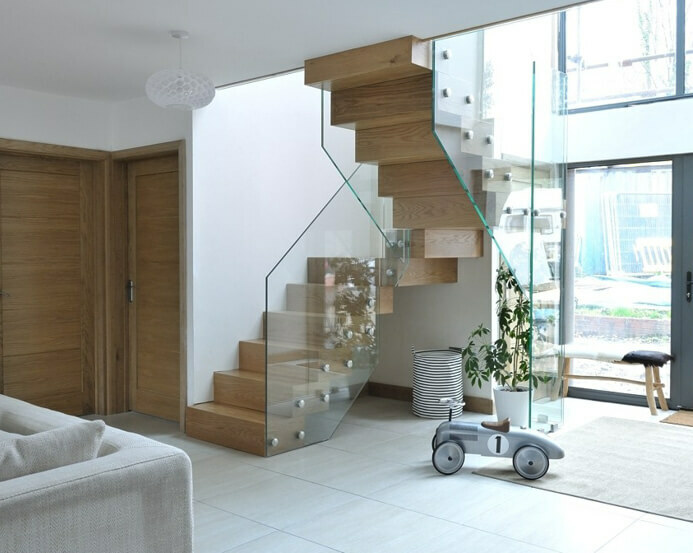 When Jason and Liz Baker wanted a bespoke staircase that could be the focal point of their home, they came to us. Here’s their customer story. 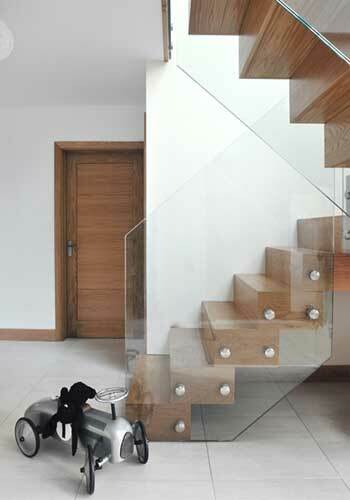 Jason and Liz wanted a modern staircase with clean lines to complement their open plan living space. 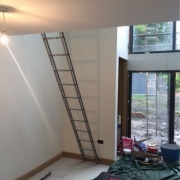 Their home was previously a 1960’s bungalow so installing stairs were going to be an entirely new addition to the building. Jason and Liz knew exactly what they wanted and our design team was able to truly capture that. Jason and Liz have two young children so we needed to take this into account when designing their staircase. 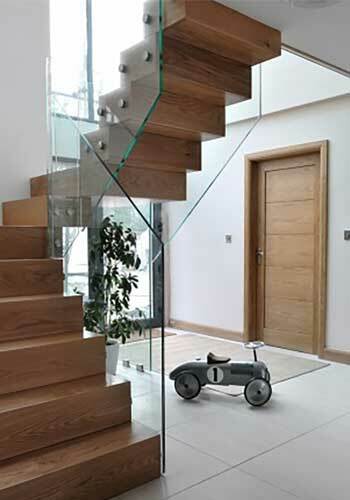 We used both oak and glass to mirror the modern style of the property. The staircase remains relatively open but the transparent glass panels add an extra safety factor for the children without detracting from the openness of the design. When we asked Mr & Mrs Baker if they were happy with the service we provided, they were very complimentary. 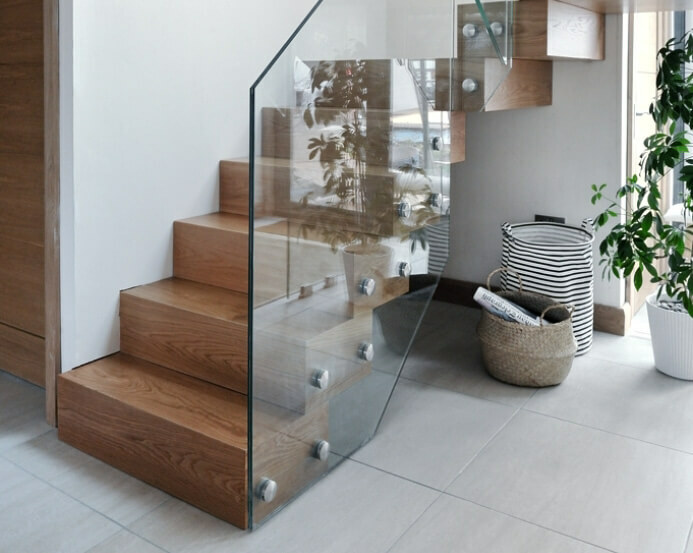 If you want to see yourself in our customer story section, get in touch to find out more about our bespoke staircases.